One of the biggest problems that you can encounter when it comes to working with a group of photographs is that they are all different sizes. 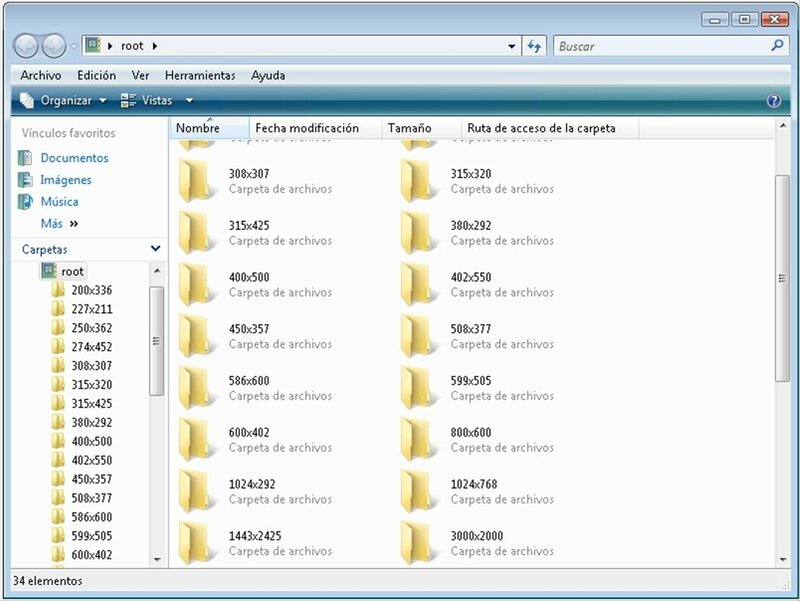 But from now on thanks to Dimensions 2 Folders you will be able to solve this problem very quickly. 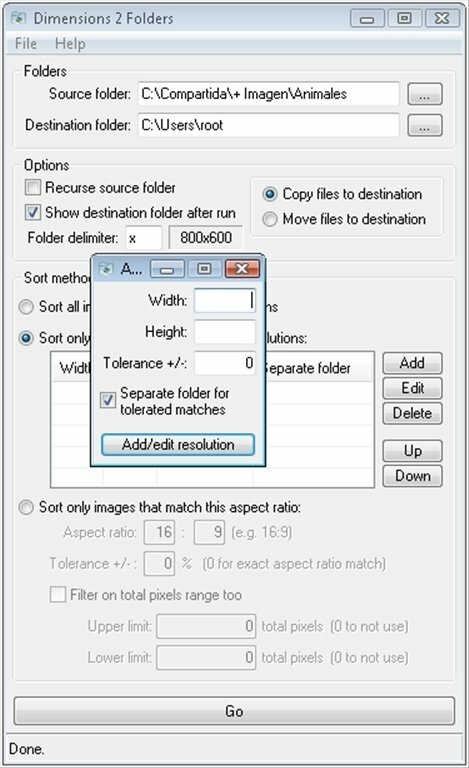 Dimensions 2 Folders is a cataloging system that works based on the size of the photographs by placing them in different folders. 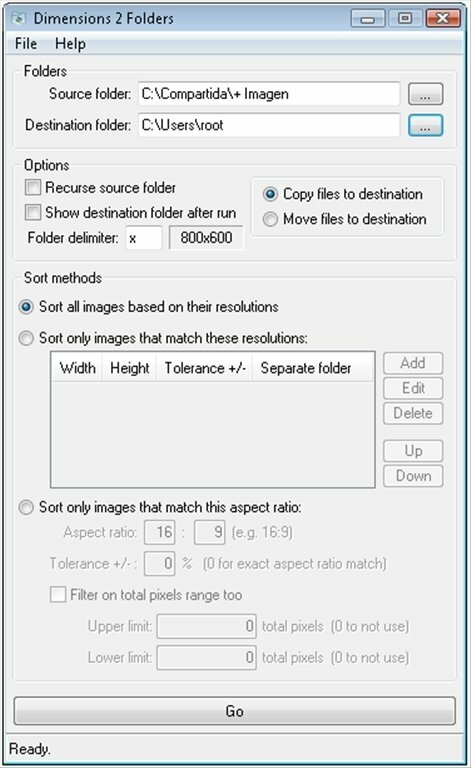 As well as the possibility to divide the photographs directly in folders based on their size, Dimensions 2 Folders allows the user to establish specific filters so that the program only affects the size or aspect ratio indicated, with a small tolerance ratio for images that are slightly out of margin. 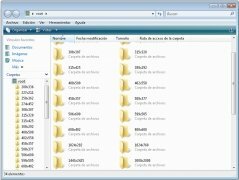 The last option offered by Dimensions 2 Folders is to choose if the files are copied to the destination folders or if they are moved directly. Therefore, if you want to have access to a quick way to be able to separate all your images based on their size, you only have to download Dimensions 2 Folders free.